PETROMAT OVERLAY – South Western Paving Co.
Petromat Overlay is a woven polypropylene fabric that is applied to existing asphalt with cracking throughout the entire surface. Hot liquid asphalt is applied over the cracked surface, the petromat fabric is rolled out over the surface, and finally the fabric is smoothed out. After the petromat fabric is smooth, an asphalt overlay is applied and compacted over the petromat to a thickness of 1.5 inches. Petromat overlay is a great choice when the asphalt surface develops widespread cracking. The existing damage is usually caused by water seepage into the aggregate base and thus weakening the foundation. The petromat material and hot liquid asphalt create a waterproof layer, and with proper maintenance, it protects the sub grade against future failure. 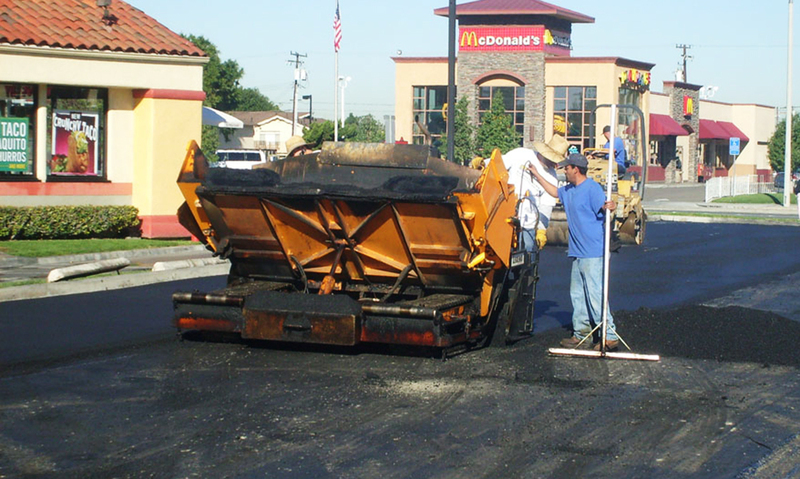 This alternative is also cost effective in comparison to the removal and replacement of asphalt.